Those of you with a hankering for Mexican food may often struggle to satisfy your cravings, as the search for real portions, with real fillings - minus the tsunami of cheese (not that there could ever be a thing as “too much cheese”, but sometimes you want to taste what you’re eating, you know?) proves somewhat difficult. Such was the case for Robert Hazan, an American native who was used to authentic, affordable Mexican food back in his hometown, which was yet to exist in Australia but a decade ago. 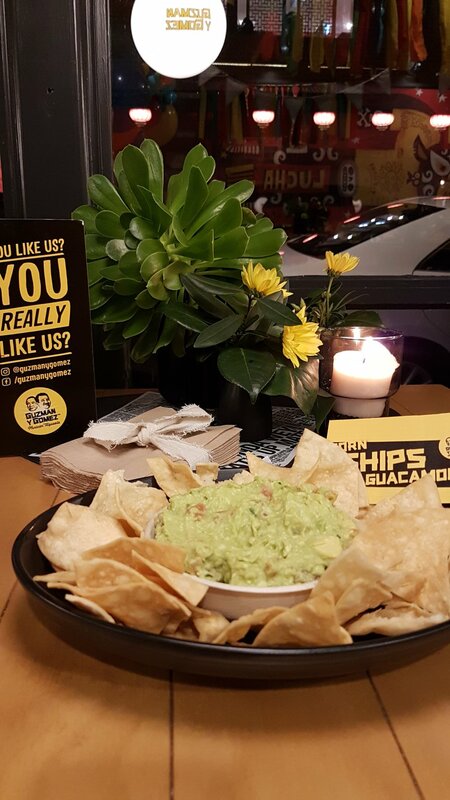 So in 2006, Guzman Y Gomez was born – a rewardingly good move for his pockets, and our stomachs. This Mexican Fast Food Chain has proved popular with punters, expanding their franchise to over 38 new locations in Australia, including its second South Australian store a mere 12 months after its introduction to our state. Taking over the previous site of Italian Café Passatempo, GYG has ventured from its Adelaide Flagship on King William, to the food-driven, ethnically diverse eatery of Gouger Street. Perfectly situated for those wandering down the Central Market precinct from one of the many nearby watering holes, this is fast food done fresh, and done right. GYG is one of the few places I’ve come across in Adelaide that do tortilla chips as I remember from my trip to Mexico. With Guacamole as fresh and flavoured as you’d make at home, and cheeky sides including Nacho Fries, Cheese Fries, and Corn Chips with Queso Cheese Dip, you’d be forgiven for forgetting about the mains. But you definitely should not. Step One. In a design-your-own-meal set up, you choose your vehicle, your fillings, and how mild or spicy you want your food. Your options are between well-known favourites Nachos, Tacos, Burritos or - our choice of the night - Enchiladas, filled with either Sautéed Vegetables, Pulled Pork, Pan-Seared Barramundi, or Grilled Chicken or Beef. Step Two. Wash it all down with a Corona, or Mexican-Sourced Jarritos Cola or Lime, beverages that perfectly round off the meal and add to the authenticity of the menu. For those of you willing to brave a potential hangover at work, or if you’re visiting on a weekend, GYG also offer the traditional Latin Lemonades and Frozen Margaritas, which pack a very welcome punch. Step Three. Top it all off with another Latin favourite – Churros. Enjoy them on their own, in all their cinnamon-y sugar glory, or with Dulce de Leche, for those of you possessing a sweet tooth like mine. Having already firmly established themselves in Australia, GYG are making their fresh, healthy Mexican mark on South Australia. The opening of their Gouger Street store is a much welcome, friendly, and convenient place to meet your mates for a bite, or to satisfy that post-drinks, midnight munchie. 33 King William Street and 53 Gouger Street.